A fried food you don't feel so bad about eating! Great as an appetizer or side dish. Fill a large Dutch oven 1/3 full with peanut oil. Heat over medium-high heat until it reaches 350 degrees on a deep-fryer thermometer. In a small bowl, combine mayonnaise and Sriracha sauce. Cover and place in refrigerator until chilled. In a medium bowl, whisk together eggs and milk until well combined; set aside. In a separate bowl, mix together flour, cornmeal, Cajun seasoning, Italian seasoning, cayenne, salt and pepper. Taste to adjust seasoning; set aside. 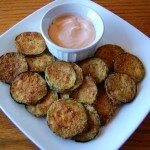 Place zucchini slices in egg mixture, then dredge thoroughly in seasoned flour mixture. Shake off excess. Working in batches, fry the zucchini slices in the hot oil, turning once with tongs, until golden brown, about 3-5 minutes. 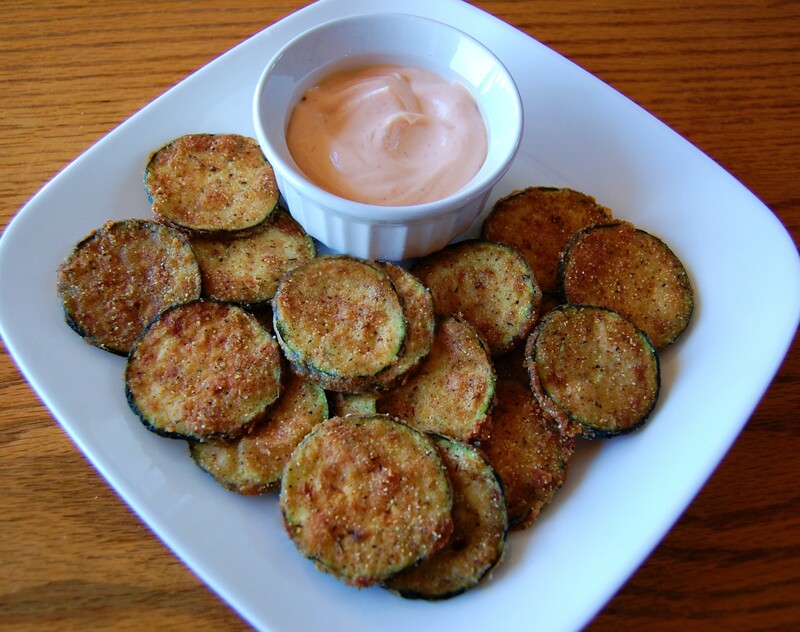 With a slotted spoon, transfer the fried zucchini to a paper towel-lined plate to drain, and sprinkle with salt. Repeat with remaining zucchini slices. Serve immediately with our Sriracha mayonnaise, marinara or ranch dressing for dipping.